This problem affects damp and sweaty areas of the foot, especially between the toes and often under the inner arch of the foot. The condition is very contagious. Itchy, soft, white flaky patches occur between the toes and small blisters may appear. Infection is caused by a fungus which is most commonly spread in swimming baths, on floors of changing rooms and on damp towels and socks. Like verrucas, it tends to be a common problem among school children and those who participate in sports. 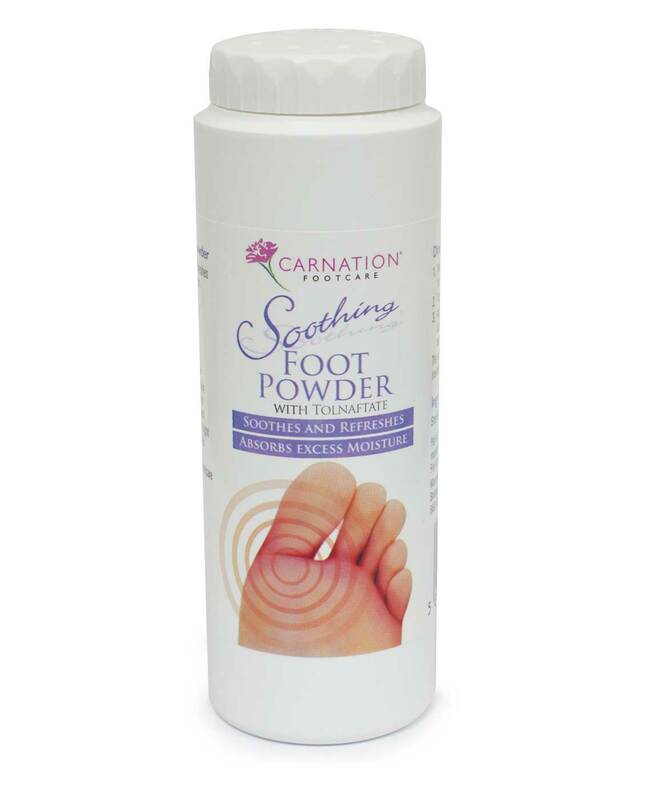 Feet should be washed frequently, dried thoroughly with a disposable towel and then antifungal powder, cream or ointment applied. Socks or tights should be changed daily. Wear open shoes on hot days. Keep the feet dry and exposed to the air as much as possible. 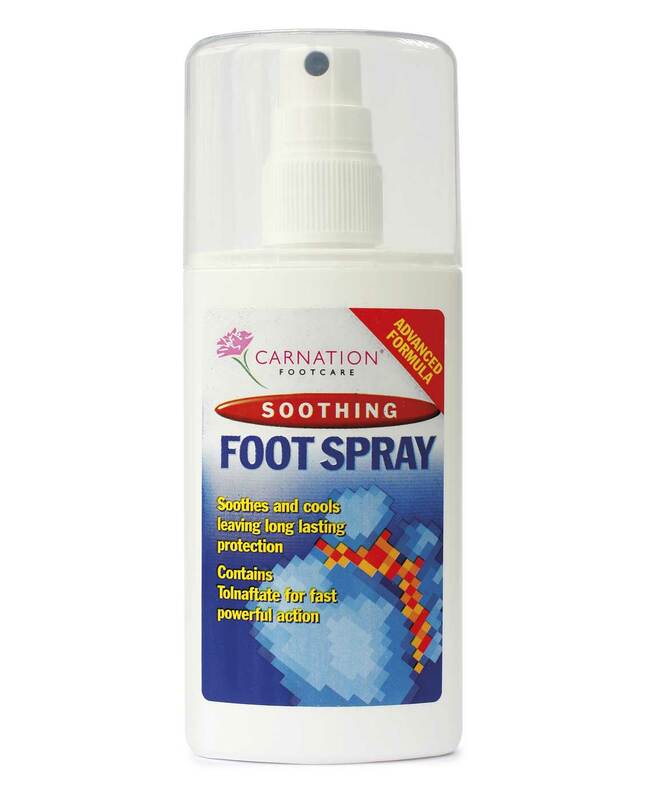 Keep your feet healthy and protected against fungi with Carnation Soothing Foot Spray.